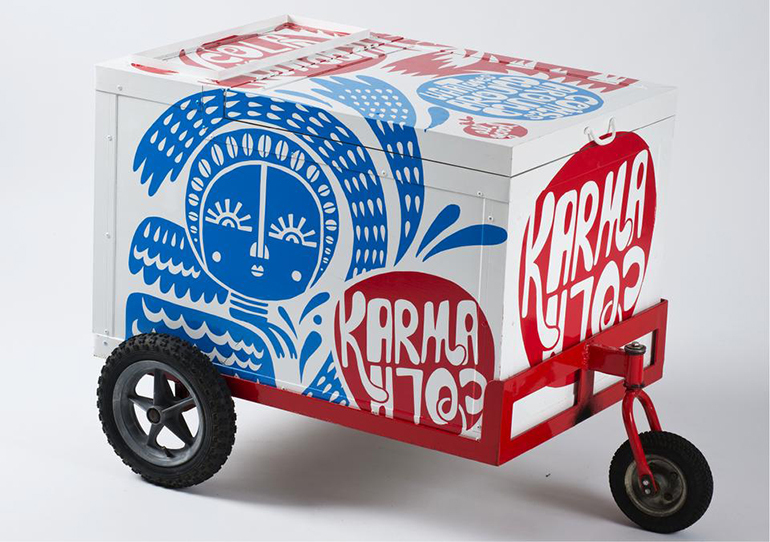 Latest Design & Designer News | The Clever Design Store - Ethical, Beautiful, Delicious – Karma Cola’s All Good. 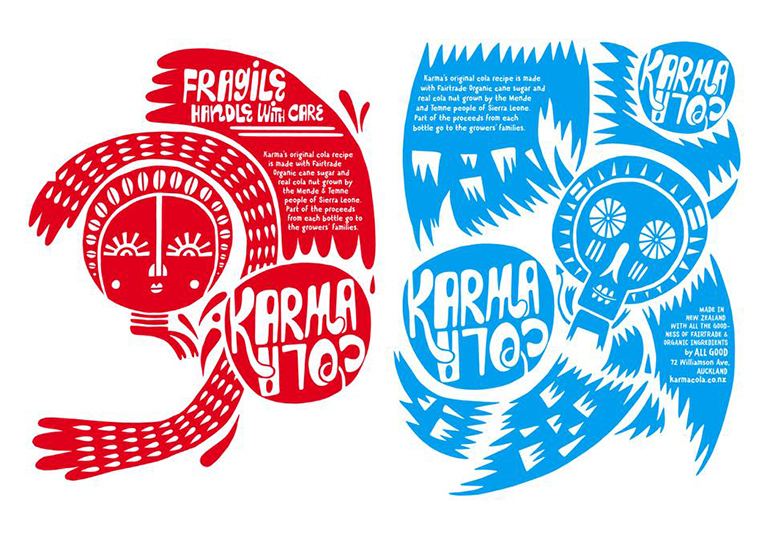 Ethical, Beautiful, Delicious – Karma Cola’s All Good. With honesty, humility and passion, All Good and their products epitomise the Kiwi kind of Clever that sets the standard for small brands with big hearts achieving great things. The guys behind All Good are doing it all right. Best known for bringing Fair Trade bananas to New Zealand in 2010, the past year has seen Chris and Matthew Morrison and Simon Coley applying their mantra, ‘good for producer, land and consumer’ to a range of cola, lemon and ginger soft drinks. Not as big a stretch as it may at first seem, given that Chris founded Phoenix Organics back in 1985. The cleverness of All Good’s Karma Cola is reflected in its name. The drink as good for its creators as it is for its consumers – ethically sourced, organic, delicious, and beautifully designed. Against the soft drink market norm of flavouring cola drinks artificially, All Good has taken the drink back to its West African roots to reclaim its original flavour source: the cola nut, grown in Boma Village, Sierra Leone. 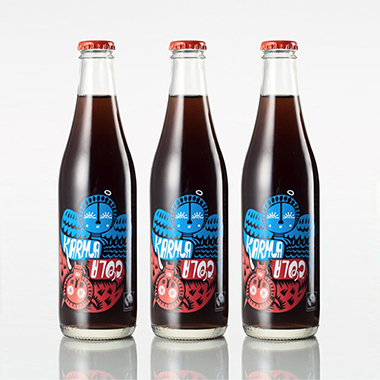 Organic and fair trade principles continue all throughout Karma Cola’s list of ingredients, with spices from the Huiwani Fairtrade Cooperative Papua New Guinea and sugar cane Manduvira Fairtrade Organic Farmers from Paraguay. True to its founding principle what goes around comes around, two cents from the sale of every bottle are given back to the community in Boma Village, to rebuild farms and crops that have been destroyed by war. Over the past year, All Good have rebuilt a bridge to re-open a crucial village pathway, and are helping to put 15 girls through school. Karma Cola also happens to look damn fine. The bottle’s handcrafted ‘devil/angel’ logo, designed by Beck Wheeler, is inspired by masks, mythology, and the women who lead the Boma community. 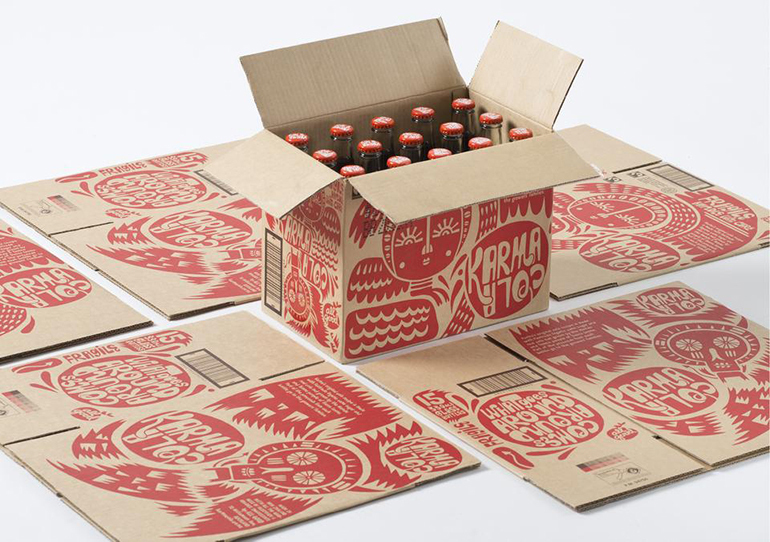 When I first picked up a bottle at the London Coffee Festival, two days after the brand’s UK launch, it came accompanied by an eye-catching zine, created by friends and family of Karma Cola because ‘there’s a lot you can’t fit on the back of the label’. A flick through reveals, amongst other articles, an interview with Boma community leaders on the rituals surrounding the cola nut, a guide to foraging for medicine in West African forests, and a beautiful series of portraits of cola nut farmers, illustrating that All Good has ‘its head in New Zealand but its heart in Boma’. Each facet of the brand’s success – ethics, flavour and design – has been recognised in high places. All Good has been named one of the ‘World’s Most Ethical Companies’ by New York’s Ethisphere Institute for two years running now. 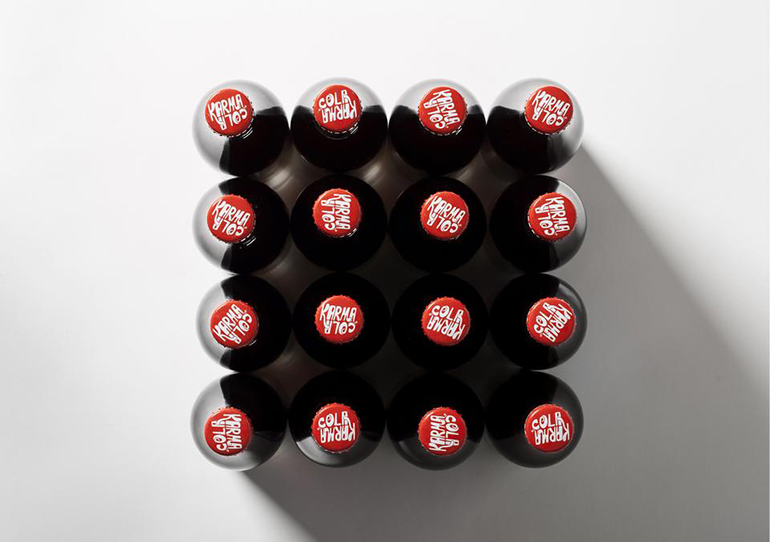 Less than two months after its UK launch, Karma Cola was named #1 best tasting independent organic cola by the Guardian. 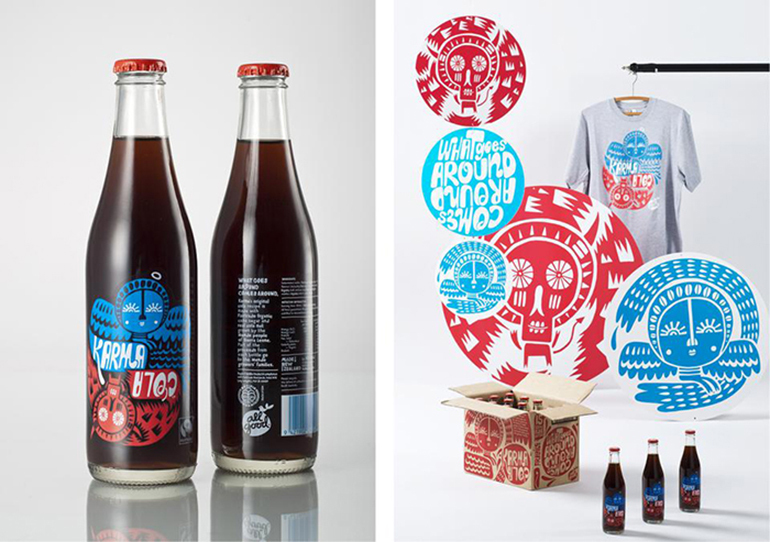 At last year’s New Zealand Best Awards, Beck Wheeler’s illustration, and the overall packaging design, created by Special Group, picked up several accolades. With honesty, humility and passion, All Good and their products epitomise the Kiwi kind of Clever that sets the standard for small brands with big hearts achieving great things. We can’t wait to see what they do next. 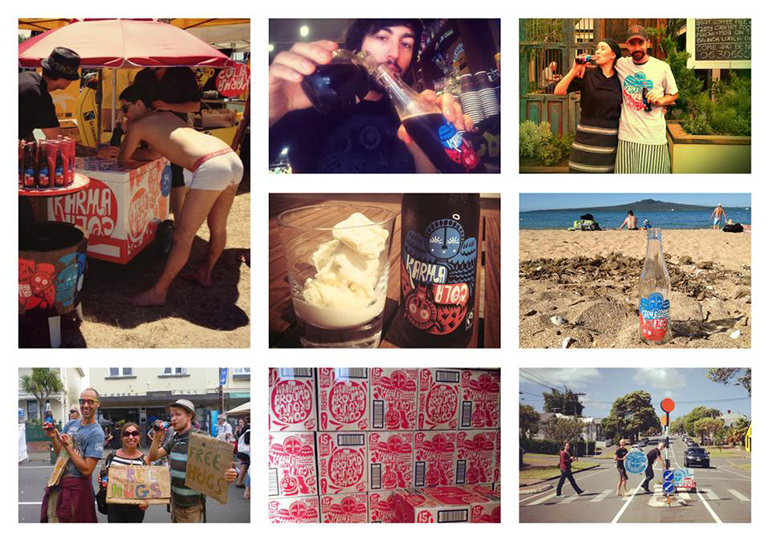 Click through for All Good Drinks stockists in New Zealand, Australia, and United Kingdom.